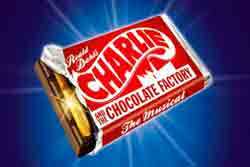 Below is the latest list for Sam Mendes' production of Charlie and the Chocolate Factory which starts previews at Drury Lane in May. Joining Douglas Hodge who is playing Willy Wonka are Nigel Planer and Myra Sands as Grandpa Joe and Grandma Georgina. Jack Shalloo and Alex Clatworthy are playing Charlie’s parents. Paul J Medford will play Mr Beauregarde (father of Violet): Jasna Ivir will play Mrs Gloop (the gluttonous Augustus' mother) and Clive Carter will be Mr Salt (father of spoiled Veruca): Iris Roberts is Mrs Teavee. Other cast members include Joe Allen, David Birch, Michelle Bishop, Mireia Mambo Bokele, Matthew Clark, Jennifer Davison, Luke Fetherston, Nia Fisher, Kate Graham, Clare Halse, Mark Iles, Daniel Ioannou, Kieran Jae, Jane McMurtrie, Natalie Moore-Williams, Sherrie Pennington, Damien Poole, Paul Saunders and Jay Webb.